Tomorrow the University of Nottingham will play host to a landmark event in university sports, the first ever UK University BJJ (Brazilian Jiu Jitsu) League Competition. Around 100 competitors, male and female, will be travelling from universities across the UK to compete in gi and no gi divisions at the Sports Hall at the University of Nottingham. There are some fantastic prizes on offer for the individual winners and an investment fund for the best university team to spend on development of the martial art at their institution. The event is being coordinated by the UKBJJA (UK Brazilian Jiu Jitsu Association), the NGB elect for the sport of Brazilian Jiu Jitsu. 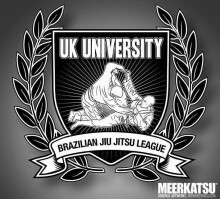 The UKBJJA has made it part of its remit to promote the sport at university level with the aim of getting BJJ recognised by BUCS (British Universities and Colleges Sport), This inaugural event for all current student and staff at UK universities and Higher Education colleges marks the first step on the road to making this a reality. 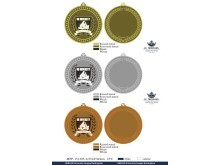 Next year the UKBJJA aims to run at least two competitions, with as many divisions as possible for all skill levels. Points will be allocated according to the criteria applied in the UKBJJA national rankings and at the end of the year the university team topping the league will win an investment prize, as will the top individual male and female athlete in the individual university league rankings. UKBJJA University Representative and a Master's student at the University of Nottingham, Tim Carden, who initiated the idea and has been instrumental in organising the tournament said: "I really wanted to make university BJJ competitive and help get it into BUCS. It would be a great legacy to leave." Promoting university BJJ and building strong links between institutions across the UK, as well as between schools, universities and HE colleges, is an essential part of the UKBJJA's strategy to promote BJJ at all levels and improve retention figures for young people involved in sport as they transition through the key teenage years. The event kicks off at 10.30 am on Saturday morning, with divisions running all day across four competition mats. 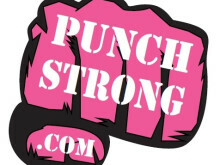 UK brands Punch Strong, Idee Pure, Rainha, Raijin, Saviour Tea, Saiko Graphics, Sulston's Kitchen and Meerkatsu have all helped to support the event. It promises to be an action packed day and an important step for the development of BJJ in the UK.